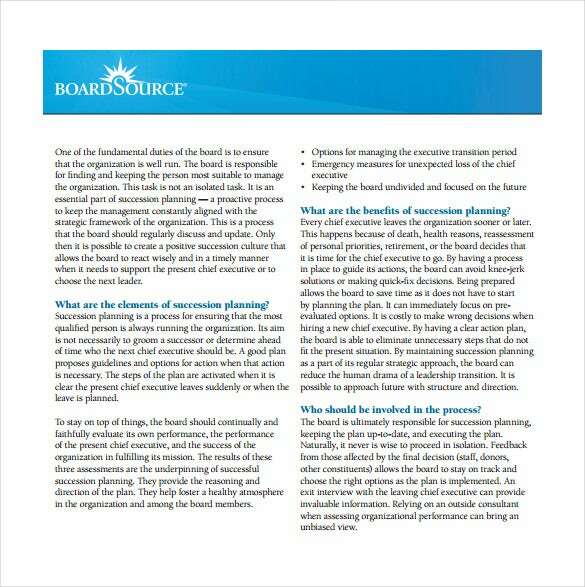 A Succession Plan Template and company‘s Staffing Plan Templates do have an essence. Generally, when an employee gets a promotion, their previous position requires a refill. The person who takes over should have the enough qualification to fit that position. Recruitments and promotions however should not be sudden events; they should have some uniformity. A clear succession plan can help prevent a firm from running into crises that have damaged many organizations before. One area that employers should focus on is improving the welfare of people within, rather than bringing outsiders to occupy top positions. The inside people are aware of many aspects of the firm and therefore can provide a smoother transition. Moreover, if workers are aware that their future within is bright, they are able to channel more positivity into the firm. You may also Like Plan Templates. 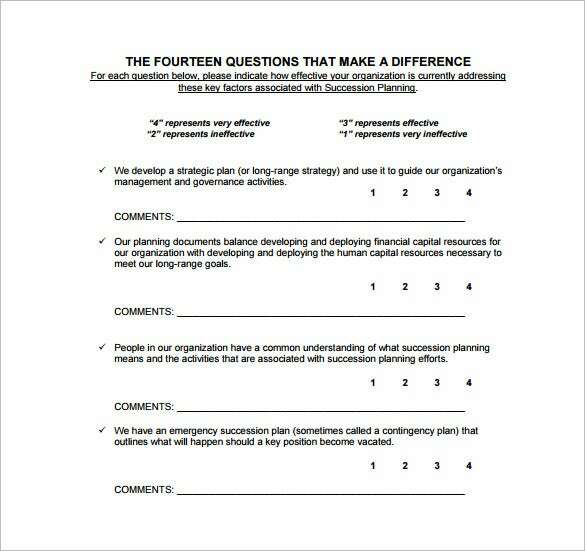 leadingwithintent.org | Chief Executive Succession Plan is a Free PDF template which prevents a firm from running into crises. Generally, when an employee gets a promotion, their position needs to be filled, The person who takes over should have the enough qualification to fit that position. 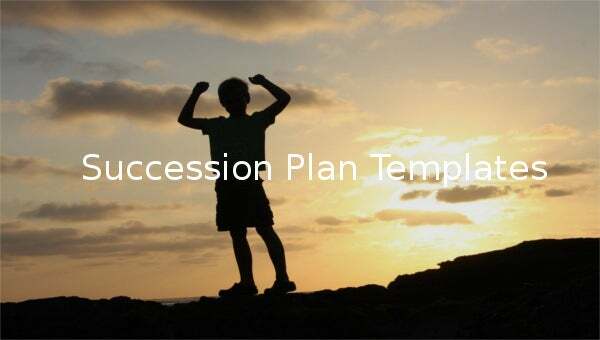 Our succession template helps you find that person. 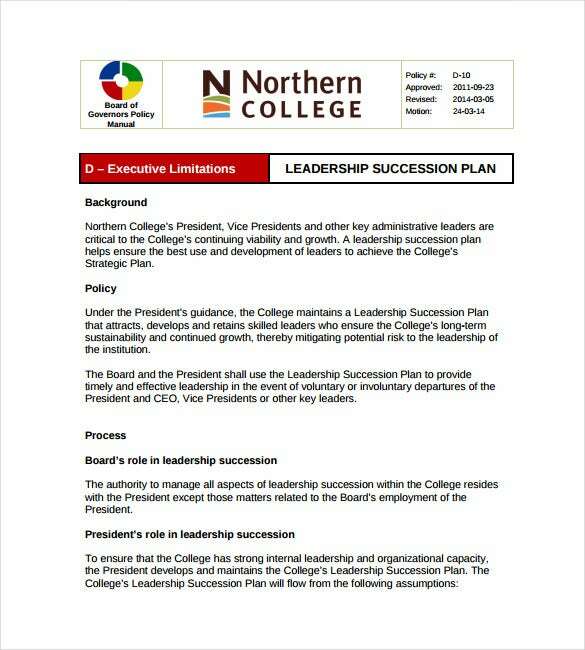 northernc.on.ca | Leadership Succession Plan Example is a Free PDF Template. Generally, when an employee gets a promotion, their previous position requires to be filled. The person who takes over should have proper qualification to fit that position. Recruitments and promotions however should not be sudden events. 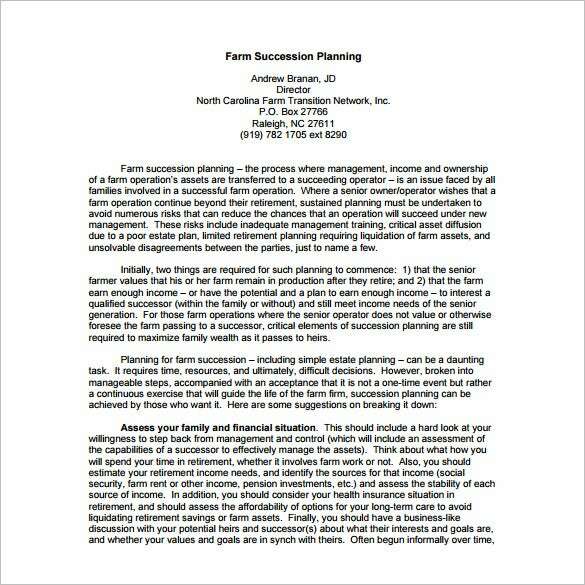 Our succession plan template can help your firm in such a situation. 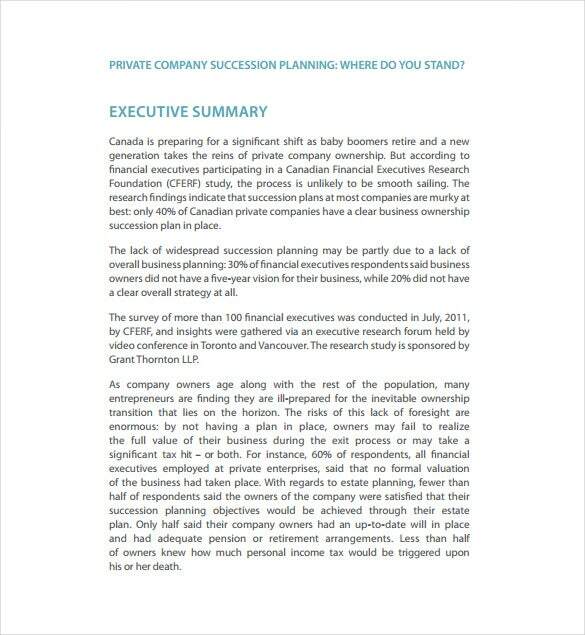 grantthornton.ca | Sample Private Company Succession Plan is a Free Template. Which helps an Private Company to find a suitable person to take over when an employee gets a promotion, or leaves their position. One area that any Private Company should focus on is improving the welfare of people within ; our plan template helps you achieve it. 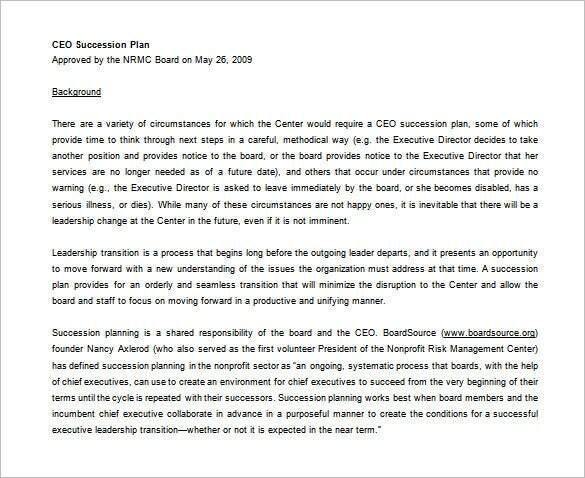 cnmsocal.org | Nonprofit Succession Planning Example is a Free PDF Template which helps a non profit organization to find a suitable person to takes over when an employee gets a promotion, or leaves their position. One area that any non profit organizations should focus on the welfare of people within, rather than bringing outsiders to occupy top positions. 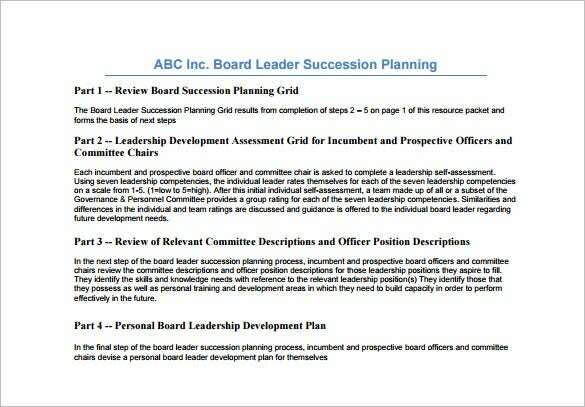 kintera.org | Board Succession Plan is a Free PDF template which helps a firm to find a suitable person to takes over when an employee gets a promotion, or leaves their position. A board succession plan can help your firm in such critical situations which have damaged many organizations in the past.